Jim Dale: BWS: Don’t blame the weatherman! British Weather Services is the longest established independent weather operator in the UK. Many sports are weather sensitive, and whether it’s an ice cold day at the Etihad or the heavens have opened at Twickenham, it affects both the result and what is likely to happen during the match. Unsurprisingly this information is something that’s of interest to bookmakers. 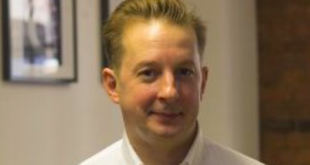 SBC spoke to Founder of British Weather Services and Senior Risk Meteorologist, Jim Dale about the services they offer to operators in the sports betting industry, and all things weather. SBC: First off if you’d be so kind Jim, could you explain to SBC readers what it is you do? Jim: Amongst a handful of other niche meteorological services, British Weather Services supplies focussed global weather updates for most weather sensitive sports. That covers football, rugby (both codes), cricket, American football, Aussie Rules, Formula 1GP, golf and any others we might be asked to judge on. SBC: What kind of information do you provide that is of interest to bookmakers? Jim: We offer our outputs in two ways. Firstly, a simple traffic-light narrative, where we colour code expected match/meeting impact (green, amber, red) and provide supporting narrative. The second is a little more involved and is presented on Excel spreadsheet. We not only predict the weather, but also the market impact, so for an example the degree by which a wet football match might see goal expectation rise or indeed fall, commensurate with the degree of rainfall expected. SBC: Do you have any data about how the weather can change the outcome of a football match? Jim: We have made several studies over a lengthy period on a global basis. 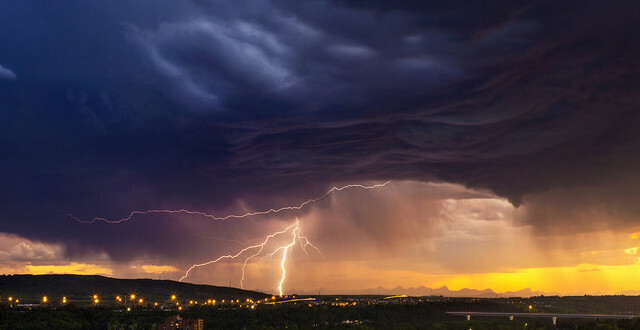 There is never a panacea for any single match – there are just too many other factors beyond weather for that, but we are pretty sure of the general/average impacts of all types of weather. For example it’s not rocket science to know that very windy weather can be a leveller, whilst very cold weather can seriously reduce goal tallies. Not sure I have given much away there, as any football coach will tell you the same! SBC: What weather situation provides the biggest swing in outcome? Jim: That’s a good question. 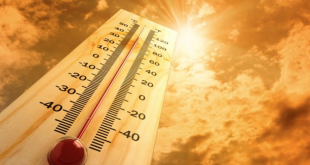 There are weather scenarios that can completely kill a game, such as excessive heat and humidity. There are other weather types that can make a game spring to life, such as persistent light rain/drizzle. But for the biggest swings, I go back to the very windy games, throw in some decent rain and depending which teams are with the wind and which are against, watch the pendulum swing from one team to the other. SBC: With weather updates from all locales freely available online these days, what sets your service apart? Jim: Well as ever, you make your choice and you pick your poison. There is a lot of duff info out there and the vast majority in any case is not necessarily sports focussed, let alone stadium focussed. One of our greatest assets is we are very experienced and knowledgeable within the sports and betting industries, talking to managers and groundsmen alike, and servicing for many years some of the biggest bookmakers around, in addition to our private clients. Potential users have to decide whether to struggle on by themselves and sort out the wheat from the chaff, use an unknown quantity which may hit the spot …or not, and try our long established professional services which have more than stood the test of time. The weather prediction game allows for all-sorts – the good, the bad and the ugly. I very much hope that after all this time we can be classed in the former category. SBC: Does the weather have a more pronounced effect on some sports rather than others? Jim: Of course, as do the seasons and the seasons within a season if you catch my drift! It’s hard to put one particular sport at the top of the pile, as weather impacts differently in different sports. Even no impacting weather has value in some sports as the ‘pure sport’ can then come to the fore. But if I’m pressed, I’d say the most sensitive to the outcome has to be cricket, followed by Formula 1GP and then Aussie Rules. Please don’t tell the golfers I said that! SBC: Are we likely to see more storms with the severity of Desmond in the UK in the future, and what does this mean for your service? Jim: Well we just experienced a ‘Desmond 2’ in Cumbria with the latest flood-bringing rain but the Met Office failed to name it as a storm. Yes, is the short answer. I’m a big advocate of the man-made global warming theory, and the heady CO2/methane/temperature mix can only mean a greater degree of weird, unlooked-for and hostile weather in the future – and obviously not only in the UK. I guess that can only be good for us in a purely commercial sense, as unpredictability is likely to reign more than ever. For good or bad, the stock value of sports risk meteorologists, which is what we are, can only rise with the mercury.